The oil skimmers, portable coolant wizard, coolant processing system, coolant wizard mist collector, vacuum dehydration unit, wastewater treatment plant etc., offered by V.M.  Tecknologies is widely used in industries such as automotive, coal tar processing and diesel oil processing. 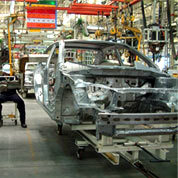 All our products are manufactured with attention to every detail so that they suffice the application's need. Increasing demands on stringent surface quality of automotive components necessitate the need of careful cleaning with washing liquids. This task is performed with manual cleaning separators and self-cleaning separators. Automotive coolant systems are designed and developed to provide constantly high cleaning effect with reduced washing lye consumption. The quality of coolant processing system is substantially improved, while the costs are significantly reduced. Continuous treatment of the cleaning agents in these automotive coolant results in considerably cost savings. Entrained particles and tramp oils are separated early to ensure optimum cleaning effect with production continuity by these coolant for automotive. 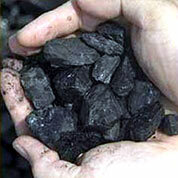 Prior to commercial processing, crude coal tar is freed from contaminants and water contents. High-performance separators are used for this purpose. These down-stream, self-cleaning separators are designed to reliably separate solids and water out of coal tar. The separates work into three phases even to remove finest particles from the tar. Through this application, a high-grade coal tar is recovered, which are used as a starting material in different industrial applications. In agriculture and industry, diesel fuel is generally contaminated with condensation water and dirt particles. With separators, contaminated diesel oil are treated to meet the needs of the market. 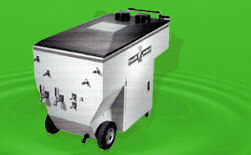 Manual cleaning separators or self-cleaning separators are available for the same purpose. Both separates eliminate solid impurities and water from the contaminated diesel. 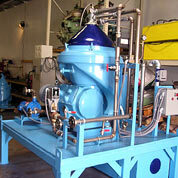 Diesel oil treatment through separator involves lower operating costs. These separators provide solutions to agricultural sector, public transport, mining sectors, gas stations, etc.